Our next Friday Night Market will be held on Friday 15th September 2017, 5-9pm on the Levenshulme train station car park. We’re having a retro fling for our next night market! It’s a vintage-inspired Shop, Pop & Hop party with great music, unique shopping, properly incredible food and of course – a top selection of boozy beverages. SHOP ’til you drop at unique artisan gifts and goodies stalls including cards, artwork, candles, ceramics and vintage goods. And don’t panic – you can still get your eggs and cheese from Jeremy over at Winter Tarn! Grab a POP from The Buttery pop-up bar, stacked with an excellent selection of prosecco, wine, cider and Manchester craft beers. And lastly…putting the HOP into proceedings is the fabulous women’s a capella vocal group The Lovenotes! They’re joining the market for one special evening. 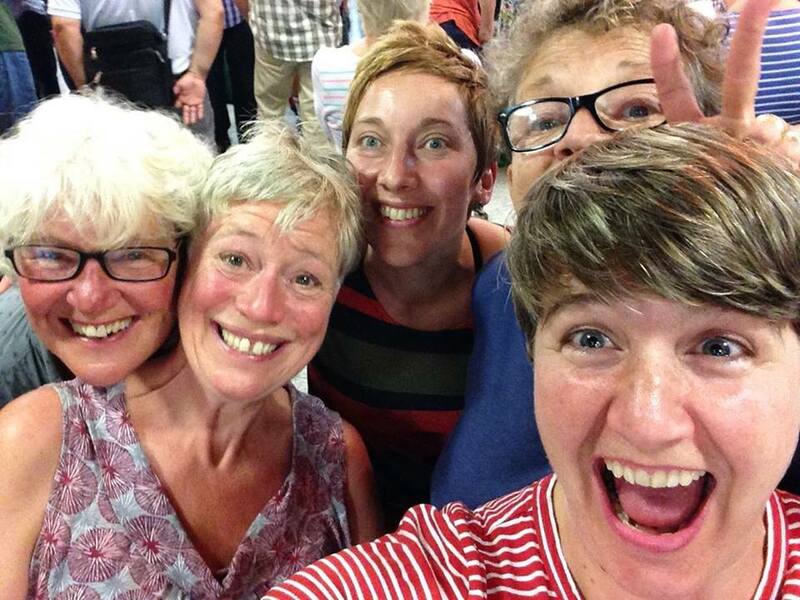 The Lovenotes are a Manchester based, four piece acapella singing group who perform across the North West and beyond, often with renowned blues singer Helen Watson. These talented singers will be performing a selection of their best tunes from 7pm, with a fantastic vintage-inspired playlist of ragtime, old timey, blues, vaudeville, chanson and more entertaining the crowds before their performance. Welcome Week Markets at MMU and UoM!